There’s a lot of mixed messages regarding Mineral Oil and hair products. In addition to product build up, there’s even quite a number of sites who are speculating that it’s carcinogenic. It’s also an ingredient added to many dandruff shampoos. 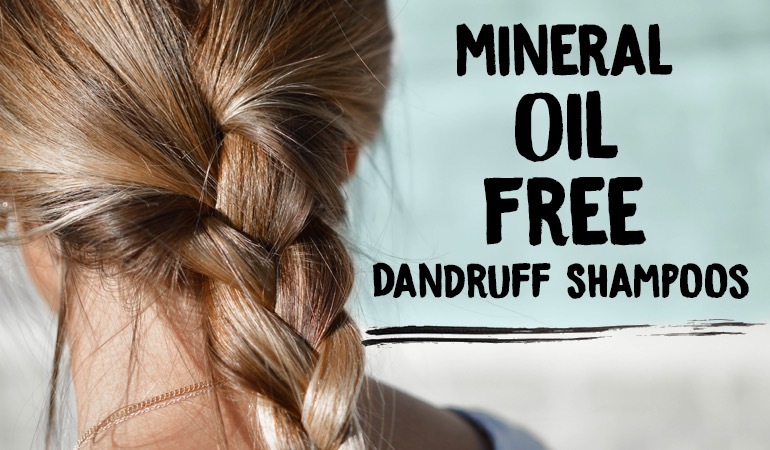 And in true Dandruff Deconstructed style, we thought it was time to get to the bottom of the Mineral Oil discussion, lay out the facts and, if needed, recommend the best Mineral Oil free dandruff shampoos on the market today. What is Mineral Oil used for? What are the risks of using a shampoo containing Mineral Oil? Are there any alternatives I should look out for? What are the best Mineral Oil free dandruff shampoos? Mineral oil is a by-product of petroleum, added to shampoos as a lubricant. It can be sold under a range of different names, including paraffin oil, liquid paraffin, liquid petroleum, and baby oil. It is one of several oils commonly added to shampoos as lubricants, others you might see include: sunflower, coconut, olive, and ricebran . Around 4,000 million tons of mineral oil are produced every year, although the majority is used for other applications, such as lubrication in electrical and chemical engineering; pharmaceutical manufacturing; and food preparation . It’s created from the distillation of crude oil, using heat and catalysts to remove the longer chain hydrocarbons (which are used primarily as fuel). Note: Depending on which country you live in, the different names for mineral oil can describe different hydrocarbon compositions, although they will carry out the same function in shampoos. 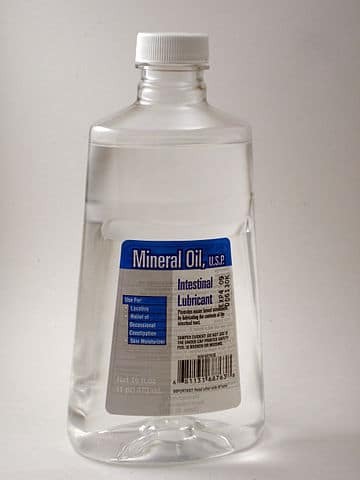 Mineral oil is widely used in a range of commercial products and can be readily bought from pharmacies and supermarkets in most countries. The World Health Organisation has concluded that mineral oil is not likely the be harmful or a carcinogen . Even when ingested directly as a short-term laxative, the most common adverse effect is ‘lipoid pneumonia’ – or accidental inhalation . While mineral oil is generally considered to be safe and effective – despite being directly refined from petroleum – its long-term effects on hair aren’t so clear. It has been suggested that frequently using an oil-based shampoo might lead to dry, brittle hair or dry scalp when the shampoo is withdrawn. Petroleum isn’t water soluble, so there is a risk of scalp build up if the ingredient isn’t washed away using an effective surfactant. However, in its purest form, it is non-comedogenic. But it can trap comedogenic ingredients in pores. Mineral oil is widely used because it’s safe, cheap, and effective at restoring damaged hair, but alternatives are available. These can be split into two categories, those derived from linoleic acid and those based on lauric acid – each with subtly different properties . The principle fatty acid in coconut oil is a triglyceride of lauric acid, which has been shown to be more effective at treating damaged hair than mineral oil. Coconut oil contains small molecules, which can easily penetrate hair fibers, improving water retention and decreasing protein loss. Coconut oil based shampoos are generally more expensive and will solidify at room temperature unless additional ingredients are added to modify the melting point. Sunflower oil is comprised of a triglyceride of linoleic acid, derived from vegetable sources. It’s the least effective of the three oils because its bulky molecular structure prevents hair fiber penetration – although will still coat hair improving water retention. Sunflower oil is commonly used despite being less effective because it’s more ‘natural’ than mineral oil and cheaper than coconut oil. Pharmaceutical Specialties formed in 1974 to “start a company to make better products than were commercially available for people with sensitive skin”. And boy, have they achieved it with this Free and Clear shampoo. What is perhaps surprising on a website dedicated to dandruff treatments is that this isn’t a dandruff shampoo at all. That said, we can’t use a medicated shampoo all the time, and this is my go to shampoo for those “between” washes. BIOM8 Skin Conditioning Oil is now part of my daily skin care routine. It’s as simple as that. I have lost count of the number of products I’ve reviewed over the years and I can count on one hand the number of products that have impacted me on this level. If you suffer from dry skin, facial seb derm or rosacea I simply can’t recommend this product highly enough. It even makes a good beard oil! Maple Holistics Hydrate Shampoo has been superbly formulated to soothe and moisturize the scalp and hair. The ingredients have been carefully selected to decrease the chance that the product will irritate the skin. Using multiple low dose surfactants is a stroke of genius and only the fact the shampoo contains only one potential contact allergen says it all. This is as close to perfection as you get in the commercial shampoo world. I simply can't recommend this highly enough. Nurture My Body Everyday Fragrance-Free Shampoo is an excellent gentle option for sufferers of a dry irritated scalp. The absence of any noteworthy irritants or allergens combined with the expert formulation of anti-inflammatory moisturizing ingredients makes an excellent change from the usual harsh surfactants and other toxins that lead to a vicious cycle of irritation and inflammation. They've managed all of this in a shampoo that foams and washes well. It's not particularly cheap, but this is simply one of the finest dry scalp shampoos out there. Calling all sensitive scalp sufferers, if you haven’t yet found an anti-dandruff shampoo your scalp can tolerate, you haven’t yet found Sebclair shampoo. A piroctone olamine, Malassezia yeast quelling formula with extremely mild yet highly effective cleansers, accompanying scalp hydrators, flake fighters and natural anti-inflammatories. No fragrance, no essentials oils, no allergens. Sebclair shampoo really does stand out in our anti-dandruff crowd. If your babe’s crusty cradle cap’s only getting worse, it’s time to try a leave on treatment – one which doesn’t leave your baby’s scalp looking like a grease ball. Enter Bioderma’s ABDderm Babysquam keratoregulating cream a 14 ingredient formula made from sensitive, hypoallergenic, moisturising, soothing and barrier building ingredients. Useable 7 days a week with no fragrance or harsh preservatives Bioderma’s ABDderm Babysquam keratoregulating cream respects, repairs and conditions away crusty cradle cap. Dead Sea Spa MAGIK Mineral Shampoo is a combination shampoo containing both salicylic acid and zinc pyrithione. The thinking behind this shampoo is that the salicylic acid will soften and exfoliate existing build up and the zinc pyrithione will help prevent new build up from forming. I’m generally a big fan of combination shampoos and this is no exception. The shampoo feels great, has a nice light smell and leaves the hair feeling extremely soft. It only contains one known contact allergen too - cocamidopropyl betaine. If you suffer from mild seb derm I can’t recommend this highly enough. One of the best and mildest shampoos out there for seb derm sufferers with sensitive skin. Containing both Piroctone Olamine and Salicylic Acid as well as being SLS free, paraben free, artificial color free this shampoo has an absolutely outstanding choice of active and inactive ingredients. There are still two or three chemicals in there that some may find irritating. Otherwise this would have been a five out of five performer. Sebamed is one of the gentle yet most effective seb derm shampoos available. The active ingredient is Piroctine Olamine - an excellent anti-fungal agent. The rest of the shampoo has been formulated with panache. We can't recommend this product or this company highly enough. 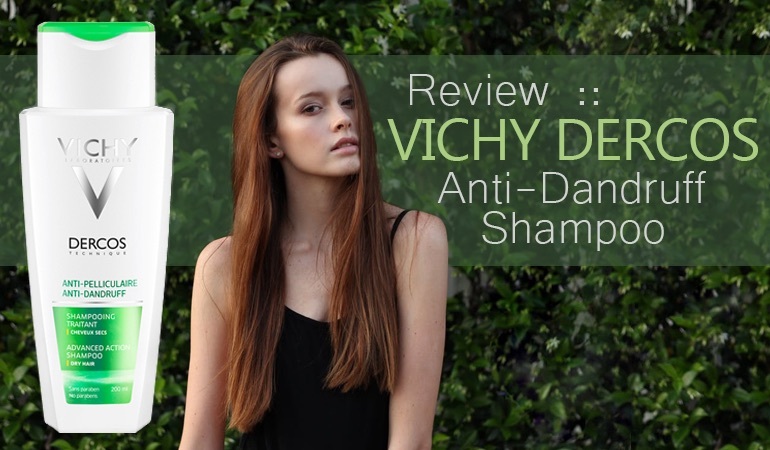 Quite simply the best pure Salicylic Acid shampoo we’ve yet reviewed. The shampoo contains 3% Salicylic Acid combined with a fragrance free, sulfate free and virtually every other nasty ingredient free formulation. It does this and still feels luxurious when washing. Neutrogena should be exceptionally proud of this top top class shampoo. An impressive dry scalp treatment shampoo with an innovative formulation. I have to applaud any company that can formulate a shampoo with so few allergens. The fact that it washes so well is marvelous. For those not sensitive to Cocamidopropyl Betaine, Phenoxyethanol or fragrances - this is an excellent shampoo. This dry scalp treatment isn’t a shampoo at all, but rather a leave on moisturizer that you apply to your hair after washing. The advantage of this approach is that, while shampoos are designed to clean (and all the sensitizing issues that come with that) this treatment is designed to moisturize and nothing else. You’re free to use the shampoo of your choice and us this treatment in combination. It’s an excellent approach that I hope other manufacturers take notice of. Scalp 18 Coal Tar shampoo is a 2% coal tar formulation that has a number of added essential oils to further nourish and soothe the scalp. These essential oils do contain fragrance but if you're not sensitive to fragrances then this is a superb shampoo. It is extremely gentle and washes like a high end salon shampoo. If you’re not sensitive to fragrances then I wouldn’t hesitate to recommend this shampoo. Maple Holistics Tea Tree Shampoo is an outstanding Tea Tree shampoo for treating Dry Scalp or Seb Derm. It doesn’t contain any artificial coloring or fragrance, sulfates, parabens, or carcinogens. It contains only three potential contact allergens, with two of the three being tea tree and rosemary essential oils. The combination of cleansing agents used are gentle, effective and innovative while the shampoo smells ace and washes even better. If you're looking for a tea tree shampoo, I can't recommend this highly enough. 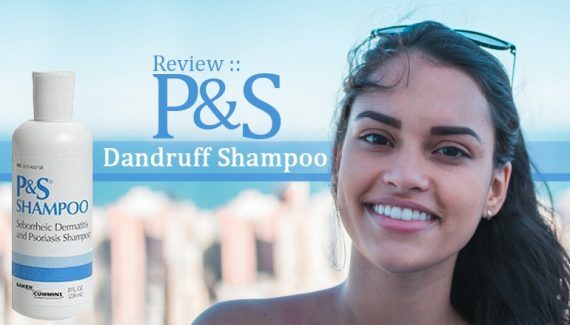 If you haven’t seen your favorite shampoo listed, chances are we’ve already reviewed it. Check out all our Mineral Oil free dandruff shampoo reviews. If you don’t see it listed, please get in contact! Keis, K., Persaud, D., Kamath, Y. K., & Rele, A. S. (2004). Investigation of penetration abilities of various oils into human hair fibers. Journal of Cosmetic Science, 56(5), 283-295. Mittelbach, M. (2005). Prices for mineral oil push biodiesel market–chances and challenges. European Journal of Lipid Science and Technology, 107(11), 777-777.
 eMC. (2015). Liquid Paraffin BP. [Accessed: 11/12/17] www.medicines.org.uk Rele, A. S., & Mohile, R. B. (2002). Effect of mineral oil, sunflower oil, and coconut oil on prevention of hair damage. Journal of Cosmetic Science, 54(2), 175-192. Rele, A. S., & Mohile, R. B. (2002). Effect of mineral oil, sunflower oil, and coconut oil on prevention of hair damage. Journal of Cosmetic Science, 54(2), 175-192. Ethan graduated a number of years ago after studying pharmacy in the UK, and is now a practicing pharmacist by day.